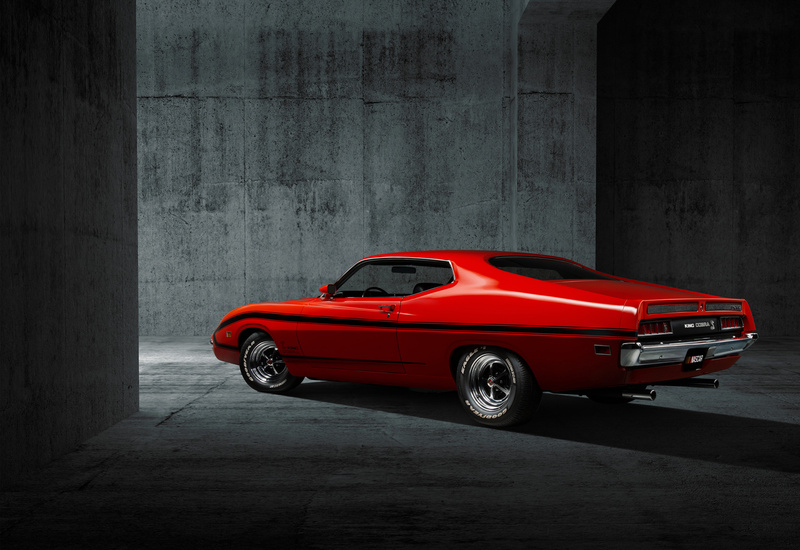 1 of 2 prototypes, this wind-cheating 1970 Ford Torino King Cobra was a test vehicle for Ford during NASCAR's infamous "Aero Wars". I shot the vehicle in a studio using a Nikon D800, a 17-35mm lens (with circular polarizer) and a Litepanels Astra LED panel. And, wanting to play into the aerodynamic upbringing this ultra-rare King Cobra was born into, I'd always planned to switch out the environment for a wind tunnel for the side profile shot. This then gave me something to work from to recreate a similar concrete-clad room theme for the rest of the shots. I certainly did! It was over on Moe Zainal's (@ActionScripter) YouTube channel where I gave a brief walkthrough of some of the process and techniques I had used. That said, the background seems to be a pretty popular one so you also may have also seen it used elsewhere. I know of a Lamborghini shot that used it among others. beautiful done. My first car was a 1971 GT Torino.